Well, it is Friday and I am happy to report that this juice was interesting. 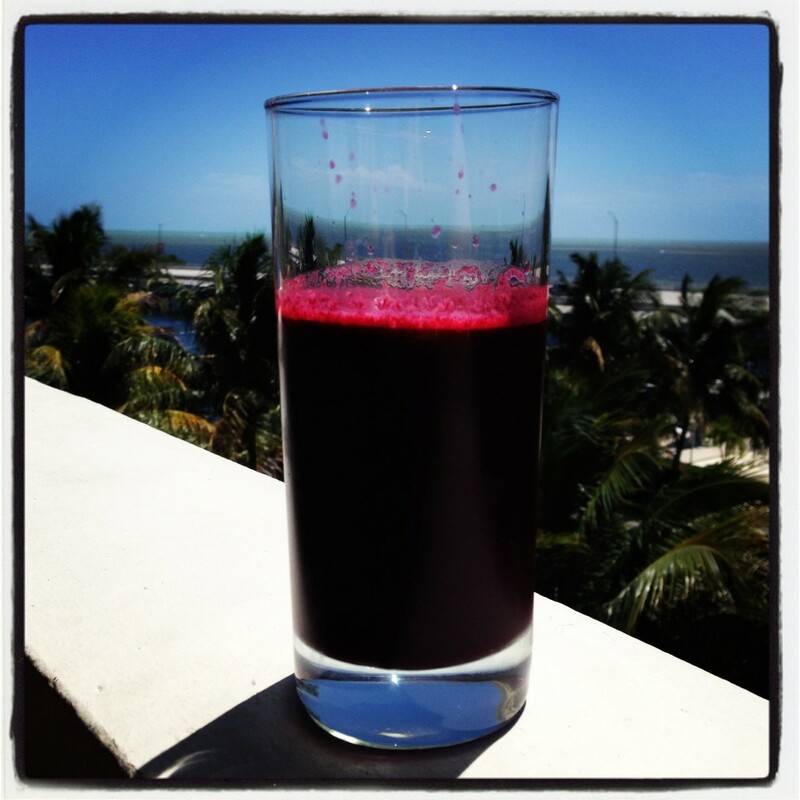 The rundown: beets, celery, sweet peppers, ginger, lemon, and blackberries! I thought the beets would sway my vote to the “nay” column; however, I did not mind the taste and was quite surprised. The celery clearly had a complex – its flavor and essence overpowered the rest of the ingredients. Nobody could compete with the CeleryMaster! The sweet peppers gave the juice a little kick, and the blackberries were practically tasteless. VCP gives this two thumbs up! The beast that made all of this was a Breville Juice Fountain Crush. The Breville purposefully creates a pulpy juice so you get the full effect of the ingredients. This juice was awesome and it left a cool red stache too boot. I am highly satisfied with this concoction, and I am looking forward to the next. This entry was posted in Health, Juice and tagged beets, blackberry, celery, ginger, lemon, sweet pepper. Bookmark the permalink.